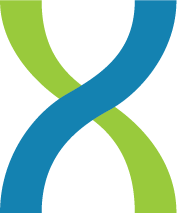 In mid-2015 the Food and Drug Administration’s (FDA) Office of Health Informatics awarded DNAnexus a research and development contract to build precisionFDA, an online, cloud-based platform for sharing genomic information. Since its launch, more than 2,000 members of the next-generation sequencing (NGS) community have contributed to this resource by sharing and comparing biomedical data, software tools, and testing methodologies. It falls under the responsibility of the FDA to ensure new medical treatments and tests meet a high standard for safety and efficacy, while working to get advances to market as quickly as possible. Following the announcement of President Obama’s Precision Medicine Initiative, the genomics community saw an increase in the use of NGS-based technologies in diagnostics, yet no standardized way to evaluate the accuracy of those tests. If new diagnostics were to be developed based on the broad applications of NGS, the approaches needed to be understood, and proved reliable, before they could be applied in clinical contexts. The FDA took a forward-thinking approach to the regulation of genomic-based technologies and sponsored the development of the precisionFDA platform to, in the words of FDA leaders, “foster innovation and develop regulatory science around NGS tests,” and accelerate the implementation of precision medicine. Instead of government regulators establishing and imposing a set of performance standards for NGS tests with the typical top-down approach, precisionFDA seeks to empower the genomics community to develop regulatory science, through a collaborative and secure online platform. The collaborative nature of precisionFDA lets researchers perform analyses on the same datasets, compare approaches, figure out what is successful, and determine where refinements can be made. The platform provides a flexible environment for test developers to leverage the findings from these collaborations to evaluate the accuracy and reproducibility of NGS analysis workflows, and share those results with the FDA and the rest of the community. The power of this approach is that the FDA remains at the epicenter of ongoing discussions, enabling the community to continue innovating, while keeping a pulse on the rapidly evolving genomics research space. 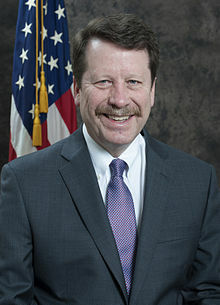 Robert Califf, former FDA Commissioner, penned an op-ed piece on his way out of office: How The FDA Will Help Lead the Next Medical Revolution. Califf believes that with precisionFDA, the agency can simultaneously meet the goals of protecting patients and advancing genomic medicine. Regulatory oversight can often be seen as a hindrance to innovation in healthcare, but the former commissioner believes that with this novel approach to regulation, the FDA will play a big role in realizing the potential of basing an individual’s’ treatment plan on their unique characteristics and genetic profile. PrecisionFDA was founded upon the principles of collaboration and creating networks of stakeholders from industry, academia, and government. This platform is a successful example of how innovative regulation can spur progress by giving the key community stakeholders the ability to work together to define regulatory science. In recent years, improvements in NGS technology have enhanced our ability to interrogate the human genome with high-specificity and bring those insights together with clinical patient data, which has pushed us closer to delivering on the promise of precision medicine. In order to keep pace with these technological advancements, it is crucial to harness the network effect of scientific collaboration. By empowering the community members with regulatory input, innovation can be stimulated instead of suppressed, and these innovations in turn will improve upon the quality of genomic tests and lead to advancements in health outcomes for patients. George Asimenos, VP at DNAnexus will be presenting on precisionFDA at Molecular Med Tri-Conference in San Francisco as part of the Best Practice in Personalized and Translational Medicine short course. Hear the presentation Monday February 20th from 8am-11am. Learn more and get involved at precision.fda.gov.